Google missed on top and bottom line. More concerning is the underlining health. 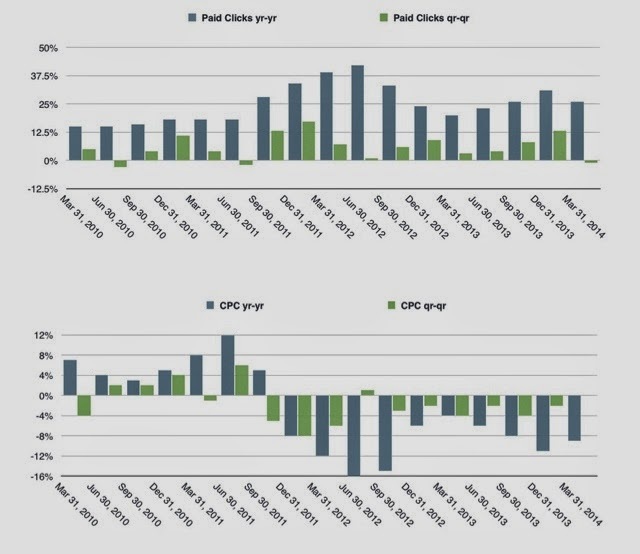 Paid Clicks (q-q) saw its first decline since q3 2011. And CPC keeps declining. Also of interest, the quarter-to-quarter declines seen in this quarter were greater than this time last year. Still, Google is the 3rd largest American company, via Market Cap, trading with a multiple above 27.